speed | OG SoundFX - High Definition Sound FX & Ambient Loops. Here is a whip sound of a powerful missile or heavy artillery shell, passing by at very high speed. Simple, yet efficient, futuristic, yet realistic, this sound is perfect for your action and war films and video games. This sound could also be used for any "swish" sounds you might need in your videos. To illustrate a movement, or a title appearing. 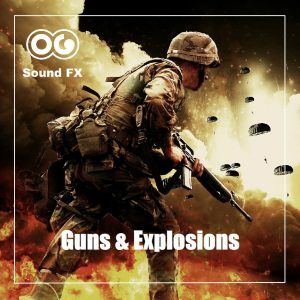 You can find this track in the Guns & Explosions Pack which includes over 420 tracks and 530 Mb of sound effects for only $29! Feel free to browse the Album section for more great deals: SFX Packs All tracks are High Quality 48Khz/24 bit WAV files.